Thirty-One Gifts has long been known for their beautiful handbags, purses, and totes that are as beautiful as they are functional. Their signature prints are easy to spot and loved by millions. In recent years they have expanded their line to include home accessories, organizational tools, and even jewelry! Even through many changes since their debut in 2003, some important things have remained the same – their unwavering commitment to quality, exquisite customer care, and loving family culture within their organization. Independent Thirty-One Gifts Consultant Susan Jeffreys sent in her favorite product from the Thirty-One Gift line, and it just happens to be one of my favorites too! The All About The Benjamins wallet is a must-have for women and girls. 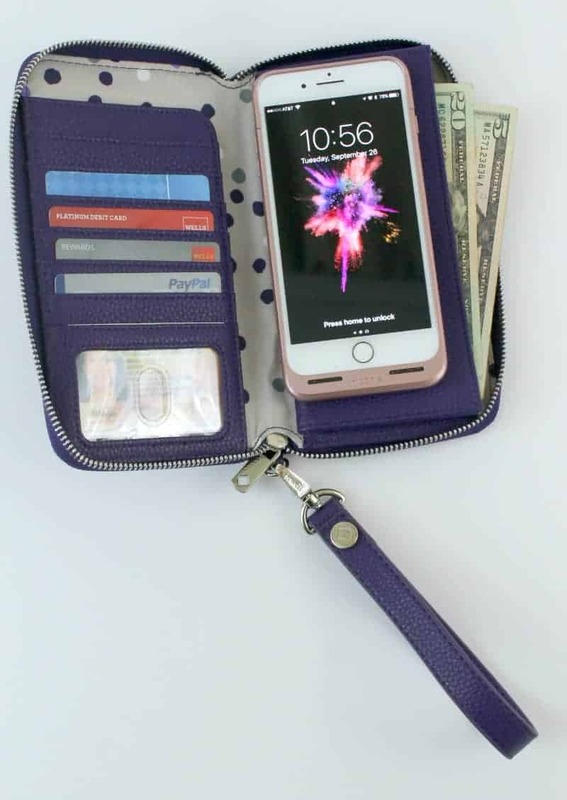 This wallet is not only super stylish but has room for everything you need to carry – from credit cards to check books to cash – even most smartphones fit right inside! The All About The Benjamins Wallet zips closed to keep everything secure, and you can even get a matching wristlet strap to make it even more convenient to carry. Susan did not know this, but I have been carrying one of these for over a year! I love it so much and think everyone needs one! Check out how well everything fits – even my great big iPhone 7+ WITH an extra battery case on it! You can shop for Thirty-One Gifts Products directly from Independent Consultants like Susan, or hols a party online or in person to earn free and discounted products. They even have Hostess Exclusives that you will absolutely love! If you are looking for more you can join Susan’s team and grow your business helping people to be more organized in carrying all of their stuff with a well established, well known, and well-loved brand. Check out Susan’s website to learn all about how you can get involved with Thirty-One Gifts.